My “unofficial” New Years resolution was to hop on the healthy bandwagon… unofficial because I usually fall off of it by now. 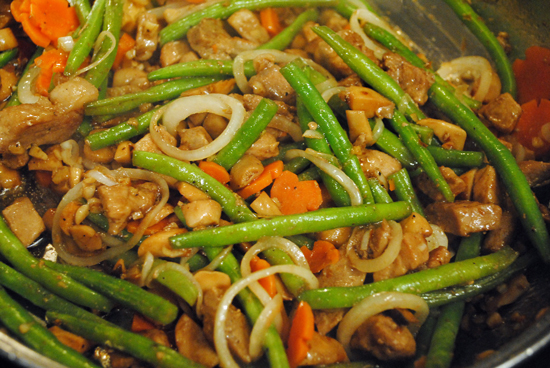 This is a simple stir-fry made mostly from the healthy ingredients left-over in my fridge. I also the best part about stir-frys; the fact that you can add almost anything and it will still be tasty. 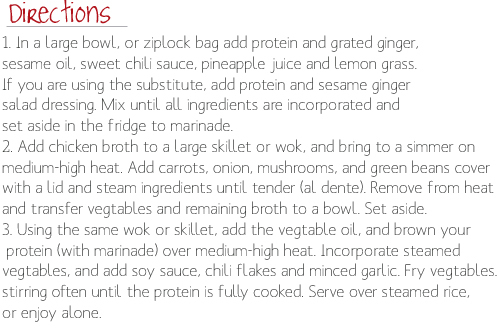 There are two variations for the stir-fry sauce, one with simple ingredients, and the second which substitutes Thai sesame ginger salad dressing as the marinade for the protein. 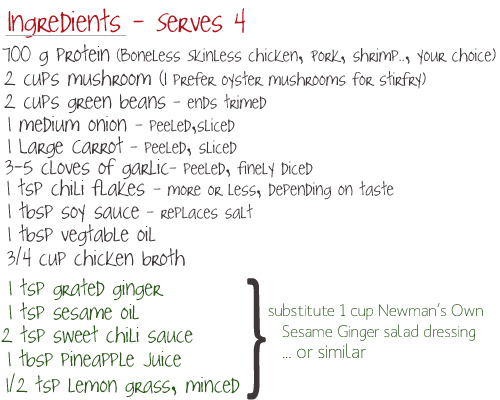 I often use salad dressings as marinades because they are simple, cost effective, and season your protein well. It certainly looks duhlicious. You really have a passion for cooking/baking. If you have to choose between the two, which one you’ll choose?